Vallery Gaines is the Area Development Director for the Cleveland UNCF office. Gaines serves as an advocate for UNCF in Northern Ohio, where she leads the organization’s advancement efforts and directs fundraising initiatives for the annual campaign. Her focus is on building relationships within the corporate community, foundations, as well as groups and organizations. 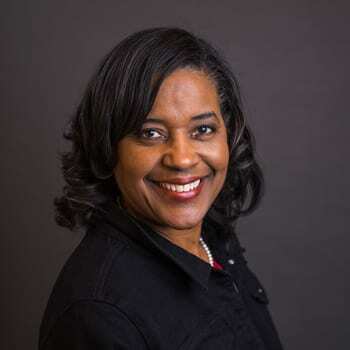 Gaines brings more than 20 years of non-profit and higher education fundraising experience to her role. She has held positions of increasing responsibility at The Audubon Institute, Covenant House New Orleans, Xavier University of Louisiana and Case Western Reserve University. Prior to joining UNCF, Gaines served as Director of Development at the Mandel School of Applied Social Sciences. Recognizing the importance of community involvement and volunteerism, she currently serves on the Board of Directors for the Literacy Cooperative. She is a current member of the Association of Fundraising Professionals. Gaines holds a Bachelor of Arts degree in Communications from Loyola University New Orleans. She is a member of Delta Sigma Theta Sorority, Incorporated. A native of Louisiana, she resides in Twinsburg, Ohio.